The fascination that model building generates not only excites children, but has also fascinated many amateur model builders for generations. Whether by helicopters in the air, boats on the water or off-road cars - any model vehicle can reveal a whole new world with an action cam "on board". But what if it is very windy and the helicopter wobbles continuously, or the waves do not allow the boat to travel peacefully? Or what if the model car drives over an extremely uneven track full of potholes? Then your video material may still be usable! You just need to know how to stabilise the video. The best solution is Mercalli V4 SAL+! 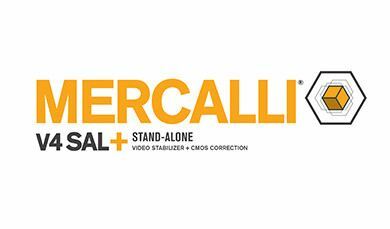 Mercalli, ProDRENALIN's big brother, is a powerful professional software. You can use it to stabilise your videos and make them look professional. With its CMOS technology, Mercalli is the ultimate solution when it comes to stabilising movements caused by engines, rotors or vibrations. Of course, physics also set some limits. Even the best stabilisation cannot modify camera shaking that is too extreme, but at least the shots are optimised so that they can still be used and do not need to be tossed by the user from the desktop into the trash bin.